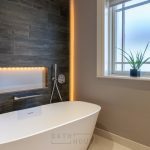 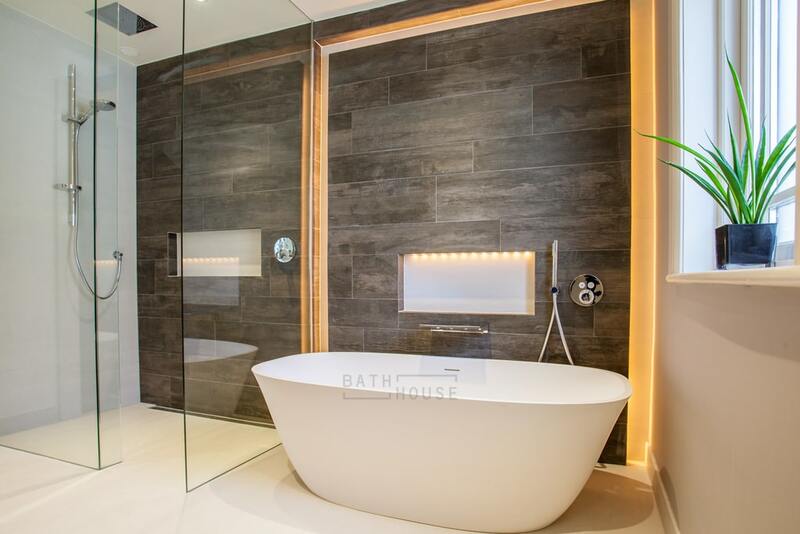 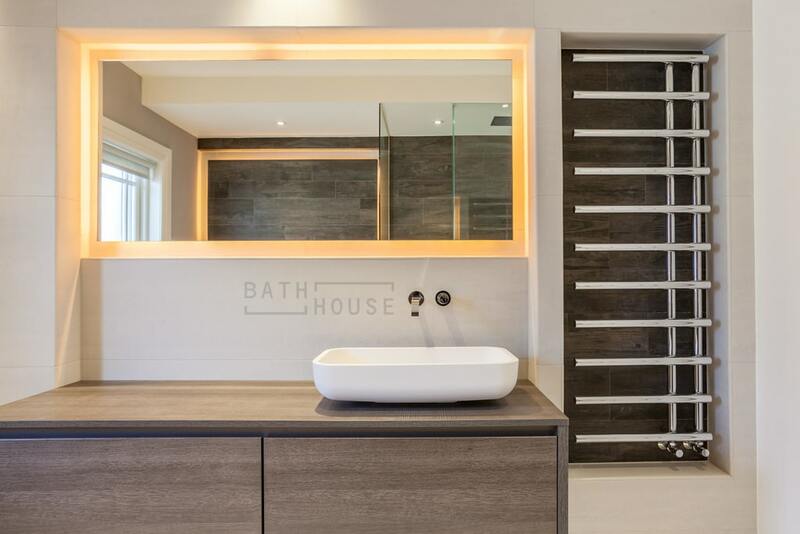 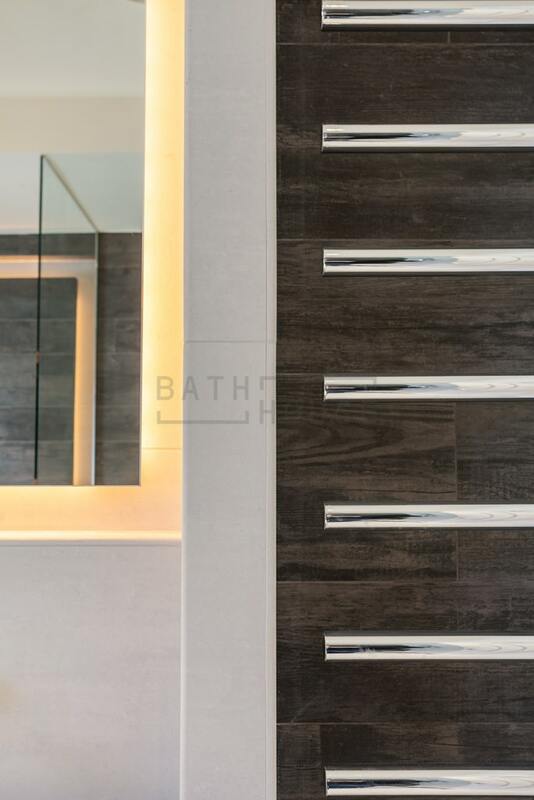 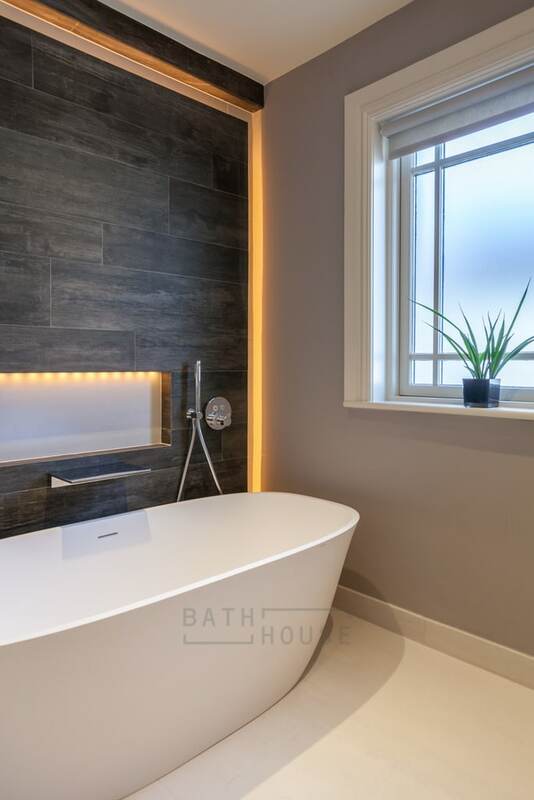 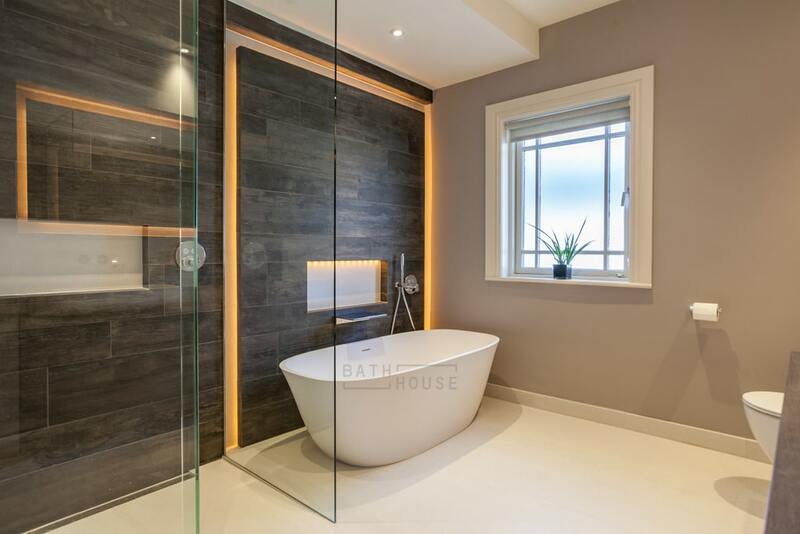 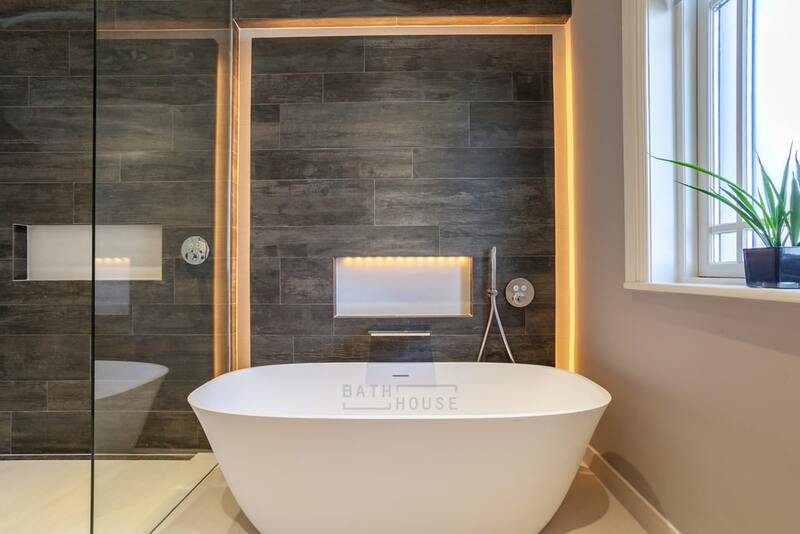 Bathroom with wet room shower designed, supplied & fitted by Bath House. 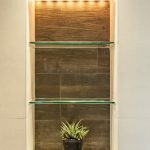 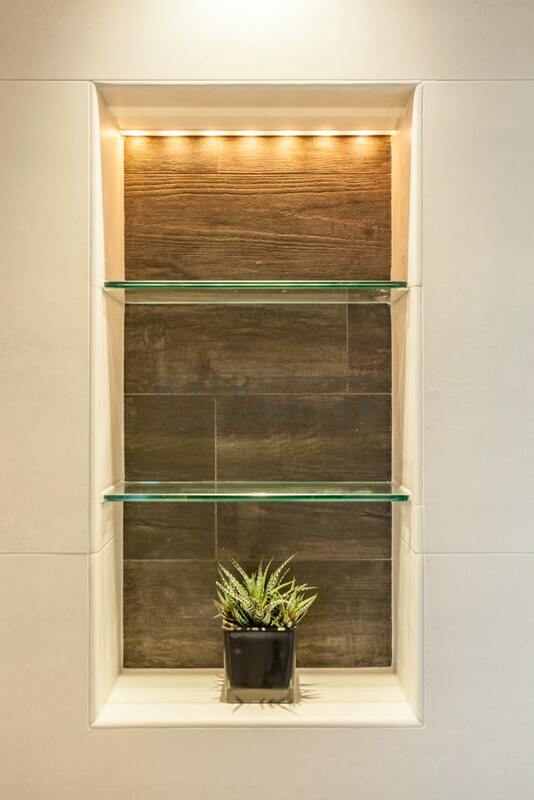 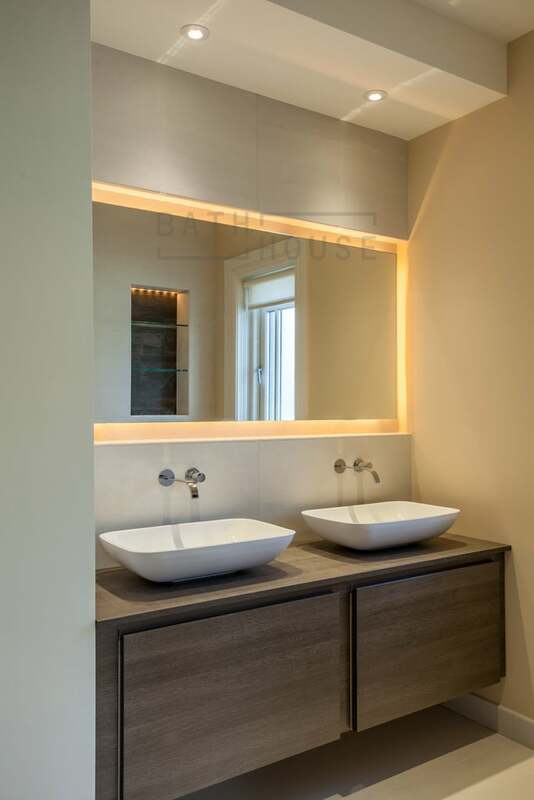 Vanity Unit: Mastella Kami w/ Legno Finish. 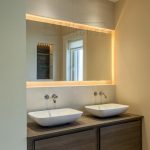 Basins: Mastella Ilkos & Pilk Basins. 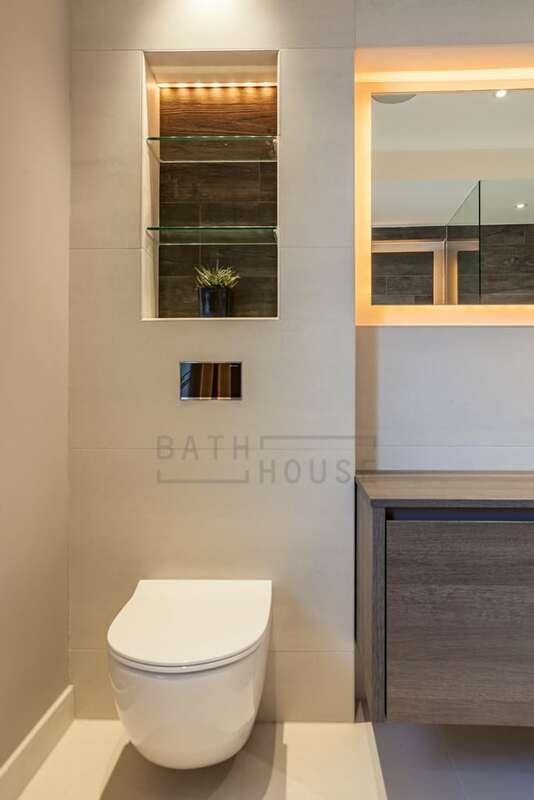 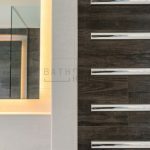 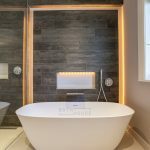 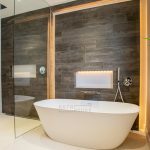 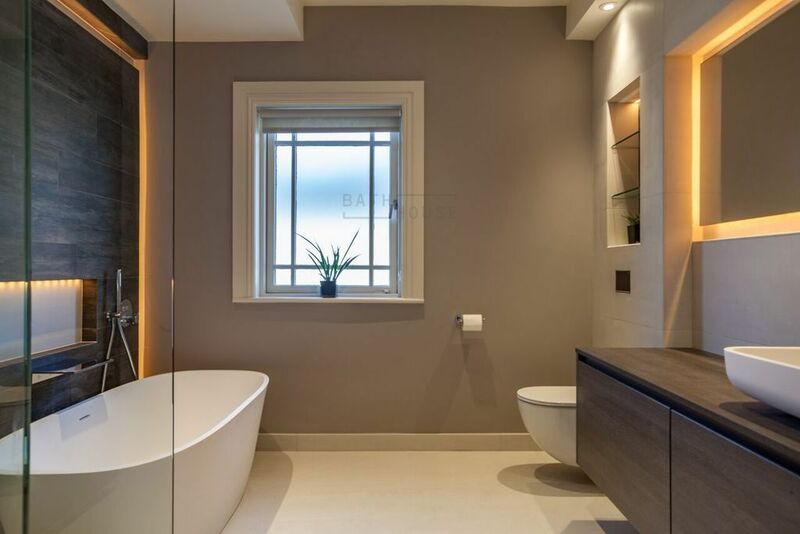 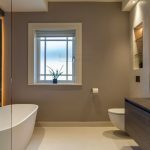 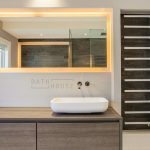 Brassware: Crosswater Wall Mounted Mixers (Basins), Inaqua Waterfall Bath Filler (Bath), Hansgrohe Shower Head & Axor 2 Way Shower Paddle Operation. 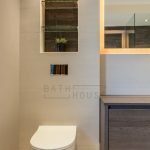 WC: Vitra Sento w/ wall hung Geberit frame.